Real Estate Myths DEBUNKED- The Truth About Buying/Selling a Home! Buying or selling a home is a long and difficult process- APRIL FOOL’S! There are a lot of common misconceptions about real estate that we want to debunk for you. Often times myths begin because of misinformation and opinions of those who aren’t specialized in the field. Don’t let lies and hearsay scare you away from buying, selling, or investing in real estate. Take advice from professionals who have worked in the industry for many years, like our agents at Agresti. 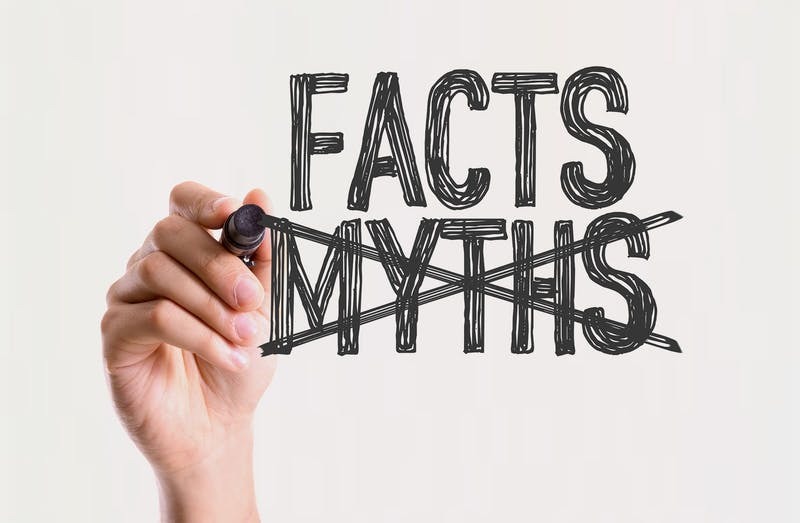 Here are a few myths that our licensed agents have debunked! MYTH: You have to have a 20% down payment to buy a house. TRUTH: This is no longer the case. There are many different loan programs some starting as low as 3% down. There are even programs that do not require a down payment at all! The 20% down payment requirement is nothing more than an outdated myth! MYTH: Buyers have to pay a fee to work with a real estate agent. TRUTH: Specifically at Agresti Real Estate, we help buyers for free! Our real estate professionals have access to all local listings, understand the process and paperwork involved and can negotiate the best price for you- free of charge! TRUTH: Any Agresti agent can show you any property you are interested in. If you know an agent or have worked with someone in the past, you can continue to work with them and see the properties you want even if they are not the listing agent. TRUTH: Being a real estate agent takes a lot of dedication and hard work. Agents must complete many hours of coursework and pass various tests in order to achieve their license. They must have the ability to collaborate and coordinate with many different businesses (such as inspectors, mortgage companies, etc.). They also need to have good problem solving skills and the ability to recognize potential problems before they arise. Last but not least they must be personable, friendly and have strong time management skills. Remember, when you are working with a real estate agent, you are working with a trained and certified professional who genuinely cares about your best interest! Our agents look forward to helping you buy or sell your house. Please call Agresti Real Estate at (814) 459-9400 or visit us at www.TryAgresti.com for all you real estate needs!